Our beautiful 22 in. 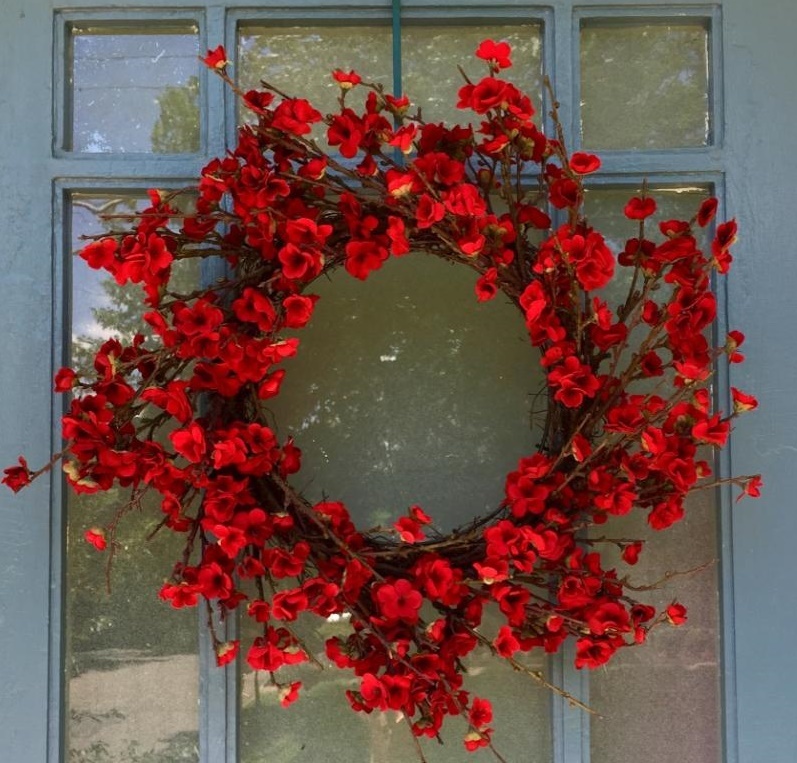 Ruby Plum Blossom Wreath is a perfect year-round decoration for your home. Vivid yet minimalist, with its small, bright red plum blossoms and twig base, this wreath complements a variety of settings. Whether you want to decorate for a modern Christmas, just add a pop of bright color, or warm up a room, this wreath is perfect. and also makes a thoughtful (and interesting) gift. Hi,Thanks so much for letting me know about my grandmother's wreath. I appreciate the extra time and effort you obviously put into it to make it special. I know she'll love it and it will give her braggin rights with her friends for many more birthdays to come. Thanks for your great service. I look forward to recommending you to others! PS I call her "Gram"...I hope that is what is on the card.